Destiny's Rise of Iron expansion introduces a brand new collection of Exotic weapons and armour that will keep any guardian busy, whether you're a new player or long time veteran. We have the return of every fans favourite rocket launcher, a new SIVA themed pulse rifle and also a RoboCop sidearm incarnation called the Trespasser. In this post I'll cover all of the new exotic weapons: providing insight into their unique abilities and perks together with details explaining how to get each of them. Easily the best exotic weapon in Destiny before it was nerfed. Bungie realised the insane power of this rocket launcher and sought to nerf its power before discontinuing its progression through the subsequent expansions. Gjallarhorn never reached the same light level as other exotics but now with Rise of Iron the Gjallarhorn is making a comeback. How much of a come back we wait to see. 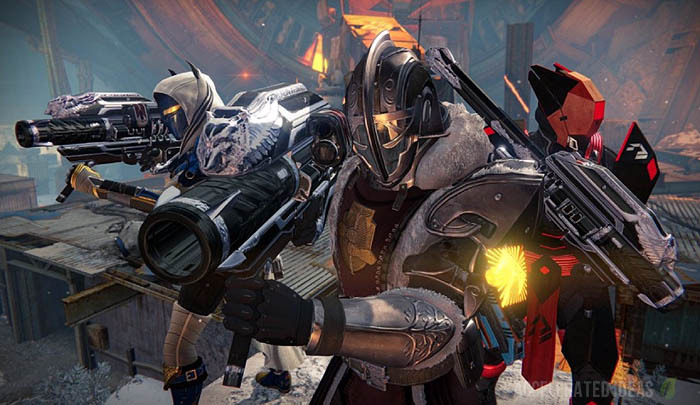 Players can get their hands on the Year 3 version by completing the exotic Gjallarhorn quest (see below). The Year 3 version of the Gjallarhorn also comes in the Iron Gjallarhorn format, available only by pre-ordering Rise of Iron. Even if you pre-order the Iron version, you MUST still complete the exotic quest before it's available. The kickstarter for the Y3 Gjallarhorn is the quest called "Beauty in Destruction". Before the quest becomes available you must complete the main RoI campaign then progress the "Echoes of the Past" quest that asks you to inspect an anomaly in the plaguelands. Get yourself a Splicer Key (by killing a Brood Wizard or Knight), follow the patrol quest which ends with a fight against a walker and scanning a medallion. "Beauty in Destruction" should now pop up in your quest list. A new addition to the Exotic sword range, "The Young Wolfs Howl" is a solar damage sword with an amazing special attack. Like other swords, it is most effective at blocking polar opposite damage types, in this case Void and Arc damage. The Exotic perk for this sword is called "Howling Flames" - it releases a fiery solar eruption that weakens enemies and deals damage over time. 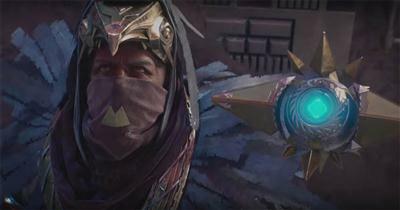 Players will have to complete the associated Exotic quest before this weapon is unlocked. More details to follow shortly. An exotic version of the Khvostov has been a dream for most vanilla Destiny fans. The original Khvostov was the first weapon to grace the game, helping players fight through the early quests on their way to unlocking the Tower social space. Only being available in white form, the Khvostov was irreplaceable once you started levelling up to green and blue drops. In Rise of Iron, the new exotic Khvostov AR rifle comes with a range of perks that put it firmly in the same class as the MIDA multitool. It's more than an all rounder though with most fans referring to it as a Swiss Army knife! Players can quickly switch between single shot, pulse or rapid fire modes. In fact, there are over 100 different combinations from the perk tree, allowing players to fine tune the weapon to their exact needs. The exotic Khvostov is obtainable through an exotic quest that takes players back to the games starting area, just outside of the cities wall. It's a nostalgia trip back to the first playable area in Destiny but obviously things have changed significantly in Rise of Iron. Similar to the Sleeper Simulation quest, players will periodically find Khvostov weapon parts as they explore the new Plaguelands zone. These weapon parts are randomly hidden in chests or as rewards for participating in the Archon's Forge arena. You only need to find one of these weapon parts to kick-start the quest - simply return it to one of the Rise of Iron quest givers to activate the quest and start the new mission to retrieve the upgraded Khvostov. Alternatively, you can acquire Khvostov weapon parts by dismantling your original Khvostov (an alt character is a simple way to get hold of one quickly). An exotic heavy machine gun which has the tag line: "What is the answer when the question is extinction?". 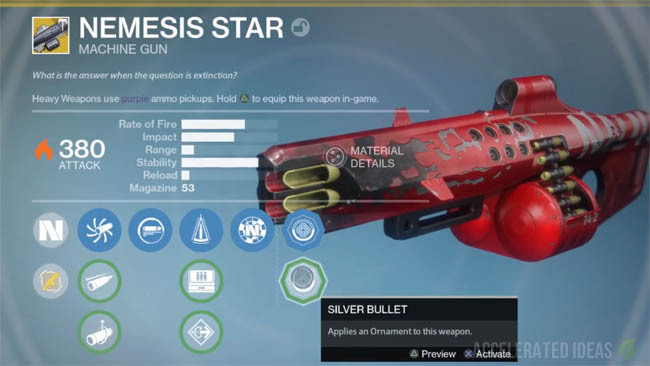 Nemesis Star appears to be a very decent weapon which boasts solar damage, extremely high stability and a base magazine size of 53. The reload speed is also noticeably low and can be increased via flared magwell. The exotic perk is currently unknown but the symbol is that of Rangefinder with the Nadir logo imposed on top of it. Wrath of the Machine, RnG, Xur, Nightfall, Trials, Kings Fall. Reminiscent of a futuristic "RoboCop" style gun, the Trespasser exotic weapon has burst fire (3 shots) and primary Arc damage. It's exotic perk is incredibly OP, allowing players to reel off a burst of 6 bullets by reloading following a successful kill. In crucible, this exotic perk promotes a huge TTK difference. Coming with a unique exotic perk called Virulence, this SIVA themed weapon blossoms out a cloud of SIVA seeking nanites following a successive precision kill. This is the "Raid" exotic weapon but like Necrochasm from The Dark Below. This time around, the weapon is hidden behind a series of Easter Egg steps that must be solved in a group of players, of varying classes. To claim the Outbreak Prime exotic weapon you must complete a series of steps for a hidden Exotic quest. It's complicated, hence I recommend following a good Destiny player such as Datto for his complete YouTube walkthrough. To kickstart the quest, a Raid group must revisit the Wrath of the Machine to activate a certain number of monitors, then note down a sequence of binary numbers that appear on the main monitors. Each player must later use the converted binary numbers to decimal to complete the "Engine Synchronized" step. 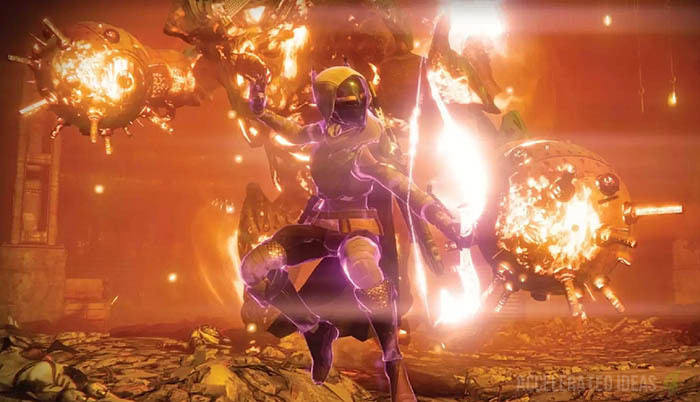 At this point a new quest appears in your inventory called "Channeling the Corruption" which requires players to complete a series of steps ranging from Nightfall, Crucible, Patrol, Archon's Forge and Plaguelands. The master of PvP for so long, the Thorn exotic weapon is making a much welcomed return in Rise of Iron. Like the Gjallarhorn and Khvostov, Thorn is also part of an exotic quest that players must unlock and complete before the Year 3 version of this classic hand cannon is rewarded. Thorn's secret lies it it's exotic perk that causes damage over time, allowing players to fire off shots, then duck and cover whilst the enemy curses them as they continuously take damage. This effect only applies on the first hit but given the tight margins in PvP the exotic effect is most welcome. Unlocked through an exotic quest line called "A light in the Dark". The usual way to get exotic quests still applies in RoI. Simply complete bounties and trade them in upon completion (e.g. to Shiro). If you're lucky, the Thorn Exotic bounty will be offered at some point.